This page answers frequently asked questions about digital rights management (DRM) and Xbox 360. Note If you have questions about DRM and your computer, see You may be unable to play protected content after your computer hardware changes in the Microsoft Knowledge Base. What is "digital rights management"? Can I transfer a content license from one Xbox 360 console to another? How does the Xbox 360 console use licenses? How do I get licenses for content? Can I transfer movie and TV show licenses? What is a "roaming" Xbox 360 console? Why can't I view, play, or use previously downloaded content? Can I transfer content from one Xbox Live account to another? Why do I get the error message "This item cannot be transferred between profiles" when I try to transfer content to a different profile? Why can't my friend play the games I downloaded to his/her console? Content providers such as the Xbox Store use digital rights management technology to control the usage and distribution of games and other content. This content is protected by media usage rights that allow specific uses of that content. The system license. This license applies to the gamertag that purchases the content. The local license. This license applies to the console to which you first downloaded the content. 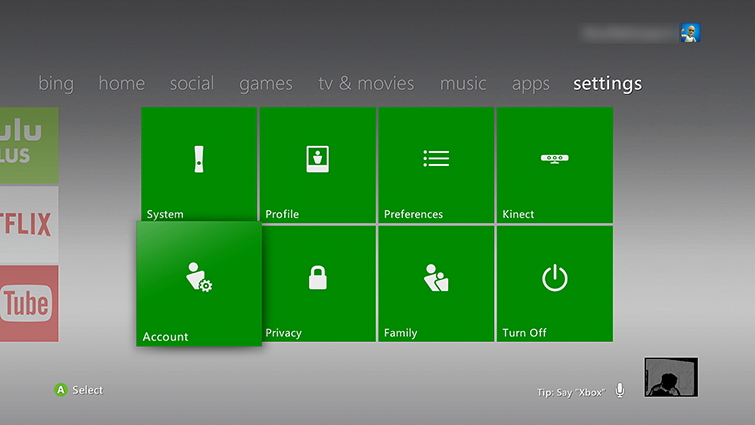 On your new console, sign in to Xbox Live using the gamertag that you used to purchase the content. After you transfer the licenses, download the content again to update the local licenses. For information about how to do this, see How to re-download previously downloaded or purchased content to your Xbox 360. Other profiles can now use content on your console. You can also use the content when you’re not connected to Xbox Live. Protected content is any game, video, or add-in that uses DRM. You must have the content license to play DRM-protected content. A license lets you use protected content. Another name for a license is media usage rights. Your Xbox 360 console checks whether you have a valid license when you try to use DRM-protected content. You can't use the content if the console doesn’t find a valid license for it, or if the license doesn't allow the action. Typically, you'll see an error message that explains the issue. Content licenses are downloaded when you download content. You can view the download history on your Xbox 360 console and redownload that content to refresh a missing or corrupted license. Note You must first use the license transfer tool. Then, use these steps to transfer licenses to a new console. Unfortunately, you can't transfer movie and TV show licenses to a different console because of licensing restrictions. The term “roaming” means using content that you purchased on one Xbox 360 console on a different Xbox 360 console. For example, you download a game from the Xbox Live Games Store to the hard drive on one console. Then, you attach that hard drive to a different console. When you attach the hard drive to the second console and sign in to Xbox Live, you can play the game without any restrictions. Note You must use the profile that purchased the content to sign in to Xbox Live. Follow the troubleshooting steps at Can’t play or use previously downloaded content on Xbox 360. No. Content licenses are stored in the Xbox 360 console rather than in the Xbox Live account. To let someone else use the content license, you must download your Xbox Live profile to their Xbox 360 console. Then, transfer your content licenses to that Xbox 360 console. To download your Xbox Live profile to a different Xbox 360 console, see Download your Xbox Live profile to a different Xbox 360 console or redownload it. To transfer a content license from one Xbox 360 console to another, see above section, Can I transfer a content license from one Xbox 360 console to another? After you transfer your content, other profiles can use the content on that console. You can't transfer some items that are stored on your Xbox 360 console from one profile to another. For example, you can't transfer Xbox Live Games Store content to a different profile. If you can't move an item to a different profile, download the item using the second profile just like you did with the original profile. Note You must re-create some items in the second profile. For example, you must re-create a saved game under the second profile. The license for content you purchase is for a single account or a single console. After you purchase and download an Xbox Live game, anyone in your household may use it. You can install and play the game on other consoles. However, only the account that purchased the game can play it. A friend can't play the game using his or her own account. To do so, your friend should purchase the game using his or her own Xbox Live account. Would you like to contact Support regarding the "Xbox 360 digital rights management" issue you were reading about or a different issue?